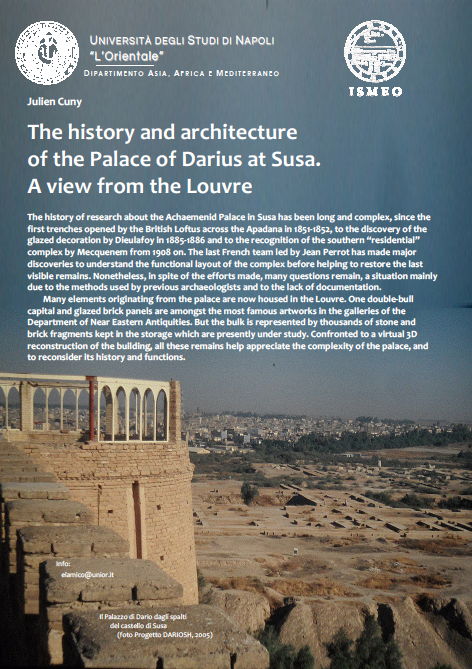 The history of research about the Achaemenid Palace in Susa has been long and complex, since the first trenches opened by the British Loftus across the Apadana in 1851-1852, to the discovery of the glazed decoration by Dieulafoy in 1885-1886 and to the recognition of the southern “residential” complex by Mecquenem from 1908 on. 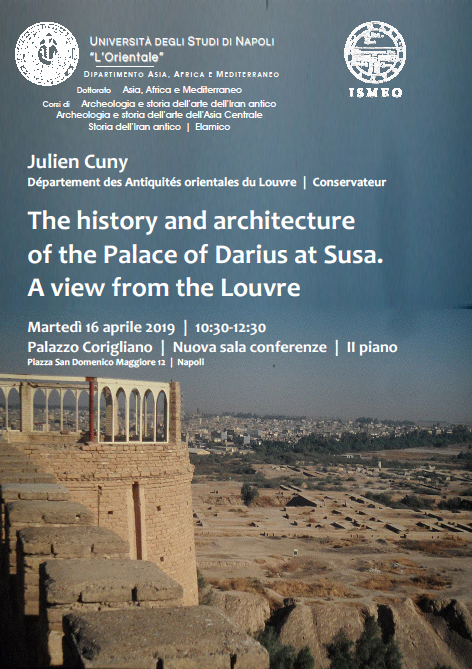 The last French team led by Jean Perrot has made major discoveries to understand the functional layout of the complex before helping to restore the last visible remains. Nonetheless, in spite of the efforts made, many questions remain, a situation mainly due to the methods used by previous archaeologists and to the lack of documentation. Many elements originating from the palace are now housed in the Louvre. One double-bull capital and glazed brick panels are amongst the most famous artworks in the galleries of the Department of Near Eastern Antiquities. But the bulk is represented by thousands of stone and brick fragments kept in the storage which are presently under study. Confronted to a virtual 3D reconstruction of the building, all these remains help appreciate the complexity of the palace, and to reconsider its history and functions.